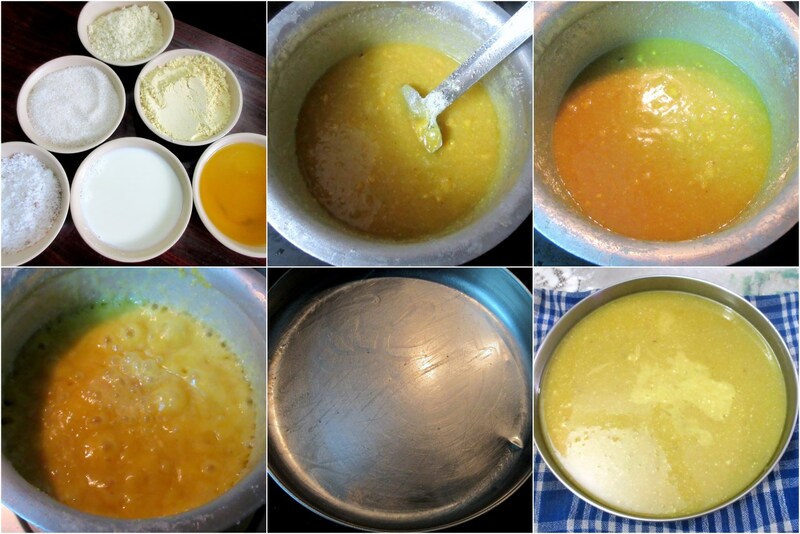 Wondering why I am making a Diwali Sweet for now? Well for one thing this was prepared during that time and I wasn’t up to sharing it then. And also this 7 cup sweet is another one of those constant burfis that Amma always makes for diwali. I have already the actual 7 cup Burfi made with cashews, this time because we always think we should make something new, we decided to go ahead with almond. The recipe is exactly the same with the same procedure. However the taste is different and for once I can eat with much liking. The other Cashew besan Burfi is prepared little differently. 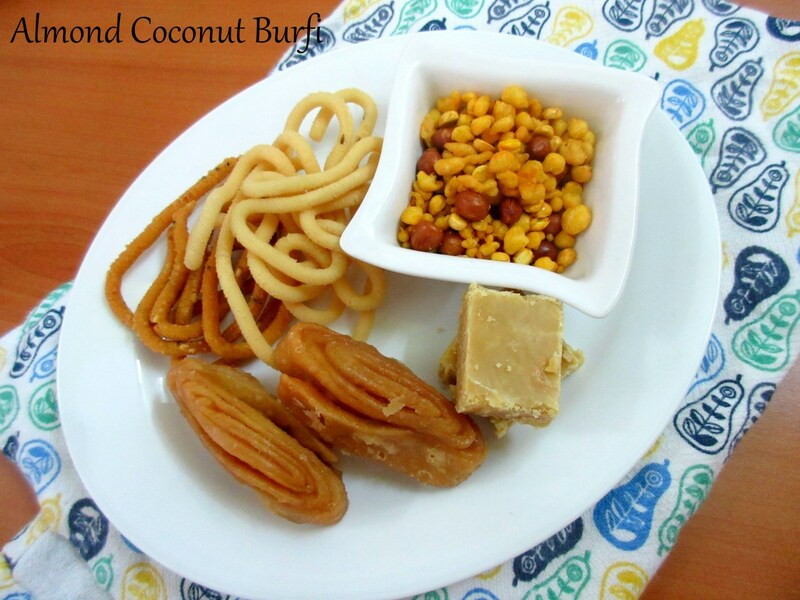 All in all, you can simply say that we Indians love making sweets for any occasion and come up with different recipes. Measure all the ingredients with the same cup. Take all the ingredients in a thick bottom kadai and put on high flame. Note: All the ingredients are directly added together and cooked. There is no need to roast the flour or powder the sugar. This burfi is in my to do list since ages, dunno when am gonna make some.. btw wish i get some to munch now. I can imagine how good they are considering that it sounds like a fusion of almond and 7 cup burfis. 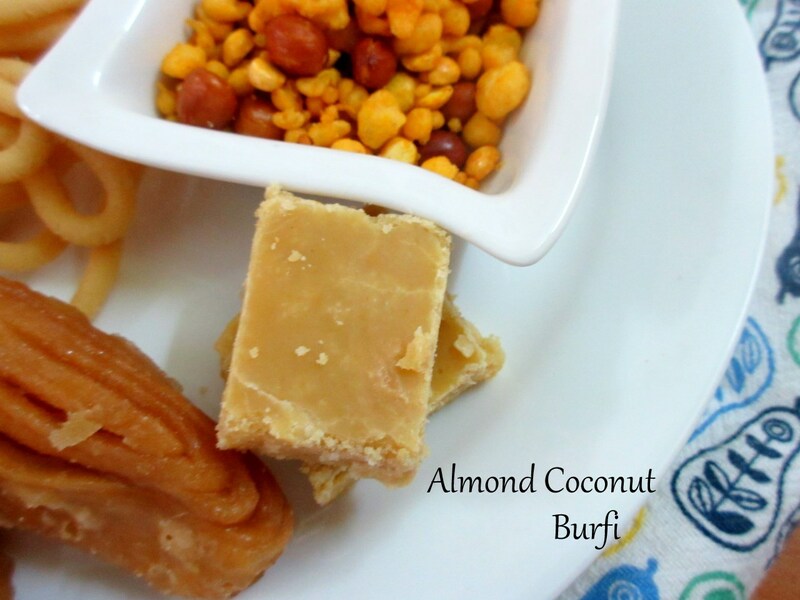 I've never got burfi right in my life…this makes me give burfi another try. Love this almond variation to 7-cup sweet. Love this variation of 7 cup burfi. 7 cup barfi looks very inviting. Barfi looks awesome! For some reason I have never gotten around to making barfi. This seems like the perfect recipe to start. Easy way to make Ragi Mudda | Ragi Sangati Recipe Step by Step ~ Weekend Cooking!